"Our minds work in duality to create three dimensional space, stereo sound and language we can comprehend. Our external and internal perceptions are opposing sides of the same coin. They are inextricably linked and cannot be separated. Our perspective on reality is consequently divided​." 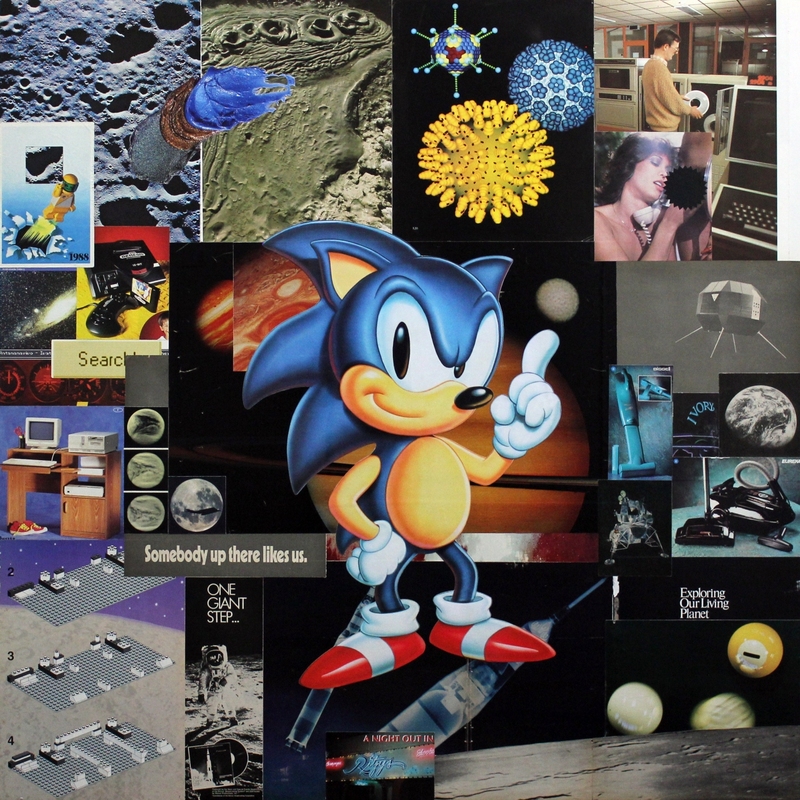 Sonic the Hedgehog, Laser prints and resin on wood panel, 36 × 36 in. Multimedia artist Kyle Yip also known as Discrete, is a Toronto based DJ, producer and label owner of Savvy Records. He is known not only for his Juno Award Nominated full-length album, but also his remixes for international artists such as Brabe, Society of Silence and many more. An affinity for the commingling and contrasting sounds and playful experimentation inspired the birth of Savvy Records, a platform he created to fill a distinct niche for the music he loves. Since the label's conception in 2010, it has released singles and albums from such notable artists as Bram Faber, Frankie, René van Munster, S.O.S., Thomas Gwosdz, Thore Pfeiffer, Xavier León, as well as his own productions. His label also hosts the Savvy Records Podcast, an inclusive resource for discovering intellectual dance music for newcomers and more advanced electronica listeners alike. Following a strong library of solo releases, ' The Midas Touch ' is Kyle's first full-length solo album. Kyle Intertwined his love for jazz, disco, and soul with a deep-house and techno-tinged sensibility. This medley of inspirations was crucial to constructing a sound that is not only exuberant and enigmatic but also nostalgic and thoughtful. This rare fusion has garnered Kyle a nomination for best 'Electronic Album of the Year ' at the 2016 Juno Awards in Calgary. Equally involved with an international community of producers and musicians, Kyle's accolades include distinguished artists such as DJ Sneak, Mark E, Mousse T and Dave Pezzner who can attest to this as well as his releases on labels such as Defected Records and Get Physical Music. The future holds promise for Kyle and Savvy Records, eagerly awaiting a handful of upcoming exhibitions and releases for Savvy Records on the horizon. Amidst the sound and the fury, Kyle maintains a strong vision, with sights fixed upon a sound and an aesthetic that can breathe beauty, communion, and transcendence into us all.